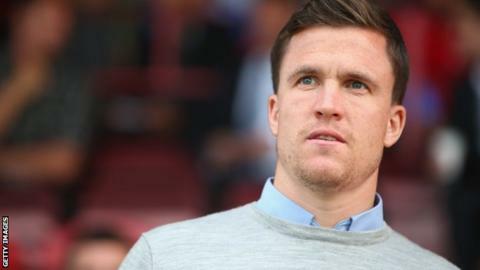 Wigan chairman David Sharpe "probably regrets" setting a target of 100 points this season, says boss Gary Caldwell. Sharpe, 24, is the youngest chairman in the Football League and in pre-season said he wanted to 'smash' League One as well as reaching triple points. So far, the Latics have won just 10 points from their opening seven games, and sit 10th in the table. "It's something that he said publicly, he probably regrets it now," Caldwell, 33, told BBC Radio Manchester. "He's enthusiastic, he wants to do that for the club and for the supporters and so do I. "Whether we smash the division, we've obviously found it's going to be very difficult but we believe that success is going to come to this club soon. "The word he used might not have been great at the time but I still believe, and he still believes, that we're very capable of winning this league." Former Scotland defender Caldwell is in his first full season in management after taking over in April. With the Latics' eight-year Premier League stay having ended in 2013, he believes Wigan must adjust to being a side teams against whom other teams will raise their game. "We just spoke about being a big scalp and I think away from home that's where we're going to find that," added Caldwell. "When we go to the stadiums like Port Vale on Saturday, the fans are up for it, the team's up for it as it is their big game of the season - we have to learn to deal with that." If you want hear listen to the full hour of Gary Caldwell on the Monday Football Hour you can listen again on the iPlayer.